Some of the best things about owning a dog are the unconditional love, pure joy and the humor that they bring to everyday life. And, if you watch carefully, you’ll see that they can actually teach us a thing or two. 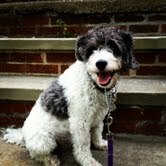 My dog Charlotte, a bichon-beagle mix, is no exception. 1. You can teach old dog new tricks – Last year I bought a security system for my house. Each time I open one of the doors or windows, a very posh British woman speaks to me – ever so politely, of course – and announces aloud what particular door or window has been opened. As one might imagine, I open both doors often to take Charlotte outside. Recently I noticed that she can actually distinguish between the two doors, so that if I want to go out the front door and she’s running to the side door, I just have to say “front door” and she comes. She’s learned that just from hearing our British friend over and over again. Brilliant! It made me realize that while I have twenty plus years’ experience in the communications field, probably half of what my job now entails – social media – has been learned in just over the past four years. For those of us who think we can’t adapt to this digital age of communications that comes so easily to younger generations – I beg to differ. 2. It pays to be dogged in reaching your goals – One day we were all at my parents’ house for Christmas dinner. The table setting was lovely with candles and greenery and my mom’s best china. Charlotte accompanied me, much to the chagrin of my siblings and their kids, since Charlotte is widely known to not be very polite when it comes to sitting quietly as the humans eat. That evening, in true form, Charlotte nudged, barked and clawed at all of us, but her efforts to gain a morsel were unsuccessful. After we ate dinner, we abandoned the table and began to open presents in the other room. Through the loud holiday banter and the tearing of wrapping paper, we suddenly heard my nieces scream “Nooooooo.” The rest of us ran into the dining room only to see that my dog had climbed from a chair onto the table and somehow had stealthily and miraculously navigated around the lit candles. There she was nose down on my grandparents’ antique table. My family was stunned. 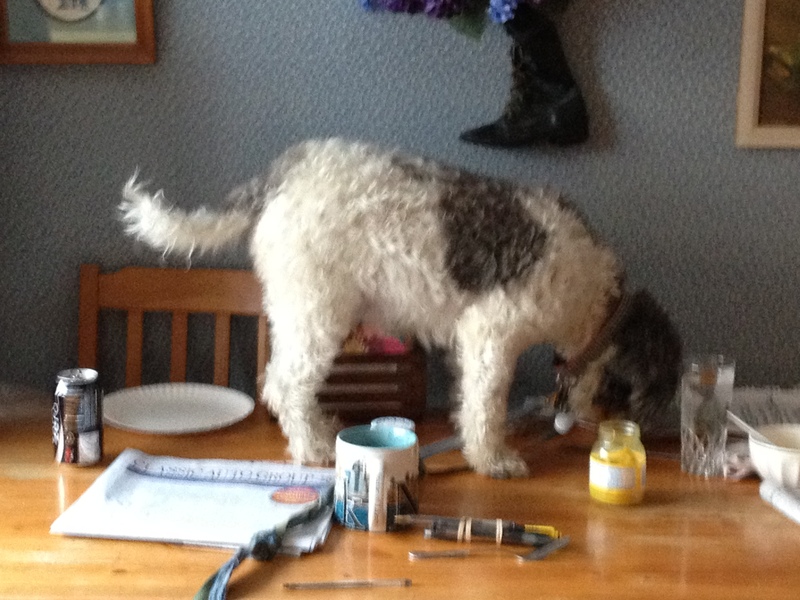 Then she looked up, stick of butter in her mouth, and gave a short and stifled victory growl. Dang. That dog wanted some people food and she was going to get it one way or another. She actually looked so funny to me on the table that all I could manage to say was “you go girl!” Look, there will always be some roadblocks in reaching your goals, but you must overcome them by staying the course and relentlessly pursuing what you want. Anything is possible. 3. Every dog really does have its day – At 25 pounds, Charlotte is a lot smaller than her friends, Amber and Beavis, who used to live next door. The larger dogs were Vizslas and their long legs kept a quick pace when we went on our joint walks. Poor Charlotte’s little legs tried their best to keep up, but Amber and Beavis were just were too fast for her, and we eventually had to stop walking together. Beavis and Amber also loved to wrestle, their little nubs shaking with delight as they jumped and chased one another. I always felt badly for Charlotte when she tried to join them, nipping playfully and awkwardly at their feet. They ignored her like elementary kids who dismiss the smaller ones on the playground. Charlotte eventually conceded and stopped trying to play. But, soon enough a new dog appeared on the street, a little Yorkie named Kobe, which was eager to make new friends. Hesitant at first, Charlotte eventually warmed up to him and soon they were fast and furious friends, playing their small dog games, tails wagging feverishly. She seemed a different dog, happier and more self-assured. While the timing was off for her to run with the big dogs; Charlotte didn’t let it get her down and waited her turn. Like Charlotte, I have worked tirelessly throughout my career, patiently preparing for my day, the one when I could be my own boss. Over the years, I was sure to gain corporate and agency experience in addition to civic leadership, which has allowed me to broaden my expertise and has helped prepare me for my dream of running my own business. Every dog has its day, and today is my day. Make it yours too! « Are Rampant and Unproductive Meetings Killing Your Company’s Bottom Line?